HEY! That lights organ-plastic cover - it's a sheet ->It's very weak > it will come UNSTUCK - so be careful! The phone it's OK - But you can find a better one at a lower price! Thanks. I had this phone 3 days ago ! nice and easy to use also the price 164$ only ! beleive or not better than expencive mobiles !! hey! i read the comments, is the nokia phone really that slow? First off, those who r blaming this cell for poor camera, u should remember it is a phone. If u wanna gr8 pics, go & get good camera or a more costly model of Nokia. As regards looks, red colour body is too good. Blue & White and Black bodies r not attractive. Only problem is low memory. Once u r used to GPRS / MMS, u start suffering due to low memory. u will get boared with it within a month of buy gurenteed !!!!!!! the only gripe i have about this phone is the lack of memory space (camera phone use, wallpaper, ringtones). other than that the phone is quite amazing. i bought two, one for my bf and myself. the most ugliest phone ever made in histroy.don't ever think of making these types of phones otherwise you may loose your company one day. 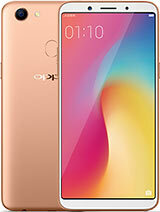 I'm going to buy this phone.But I don't know what cable should I use.If I buy this phone will the installation CD receive me with phone or should I buy this.I dont know what is the CD.plz tell me answers for this questions.Thank you. You ca use DKU-5 or CA-42 data cable to conect the phone to a PC.